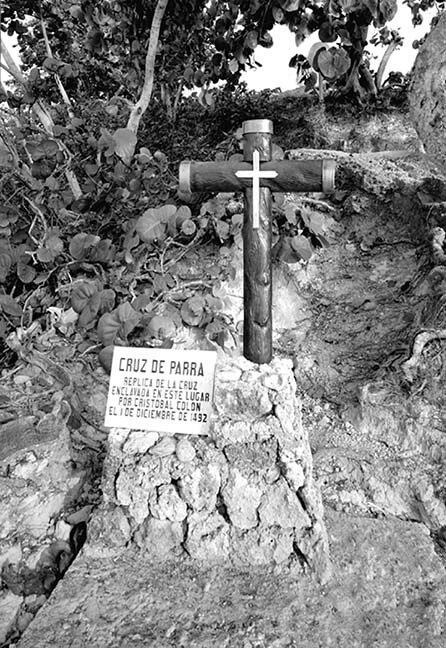 Photographic Story While we were in the small village of Baracoa we visited the beach where Christopher Columbus landed and placed a cross into the sand declaring the island for Spain. As I stood in the same place where the man who changed the history of the western world had stood eons ago, I was overwhelmed with awe. So much has happened since Columbus landed, I wonder what he would think. The village of Baracoa is the first town to be created in Cuba. It was established in 1511 by Diego Velazquez and Cuba’s capital until 1515. Digital – Archival Pigment Print This photograph was taken with an analog large format camera. After Clyde develops the negative, the film is scanned and edited in a computer program mimicking his darkroom techniques. The photograph is printed on an Epson Stylus 4800 or 11880 printer. Clyde uses archival Ultra-chrome K3 ink and prints on archival Harman Hahnemuhle paper. The limited edition photograph is then mounted and matted to current archival standards. This is a limited edition series and each photograph is numbered.